Do you want to know more about what we offer and why you should choose Ruuk Village for your Sri Lanka holidays ? We will get back to you with details for your inquiry. It is 144km to Kalpitiya Ruuk Village. There are three possible ways to get there. You can also organize a taxi at the airport too, the disadvantage being that most drivers don’t know where exactly you accommodations are located on the 44km long Kalpitiya Peninsula. By bus, this can take up about 5 hours or even a bit longer and you need to change buses. And if you have few pieces of luggage this can be a bit messy too. By train, do check exact train departure times, as the train time table cannot be compared with any other modern European train schedules. This is fun and can also be more adventures too. But when you are tired after your flight, not sure how many of you will want to take this option. "Ruuk Village" is about 2 km away from the town centre and therefore closest you can be to main lagoon and to town centre of Kalpitiya. 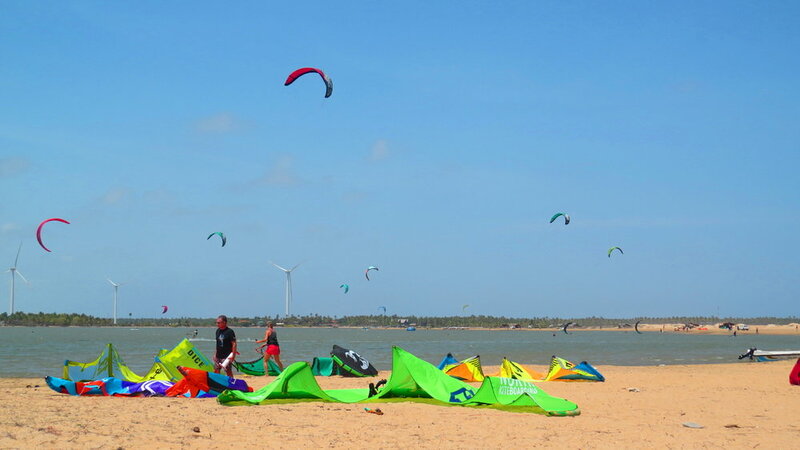 Enter the following in google maps to get visual directions from the Colombo - Puthlam main road: Palavi Junction to "Ruuk Village"
Best kite spot in Asia, guaranteed learn progress..
Bar reef is around 16km from RuukVillage beach ( 8.2 sea neutical miles).